J. Devlin's vintage glass gifts always have an extra special something about them-like this charming vintage and beveled glass photo frame. 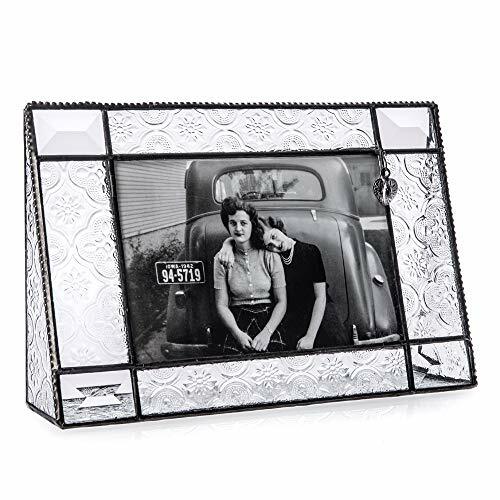 Seemingly simple, this 4x6 horizontal picture frame features an intriguing mix of beveled and vintage-inspired patterned glass. A metal heart charm that gently dangles near the corner of your photos only adds to its beauty. Glass sides and base provide added support and allow light to cast brilliant reflections in all directions. This glass picture frames is perfect to show off your favorite baby, wedding or family photos.